Let me begin by saying that I honestly don't know why I am still watching Big Brother 19. Is it masochism? Addiction? A mix of the two? Possibly. Truth be told, I've always been a fan of the game, but this year's houseguests are making it difficult to forge ahead to the season finale. So I'll keep it short and sweet: this article proposes one solution to salvaging a season marred by vile houseguests: ensuring that Cody wins America's Favorite Player. 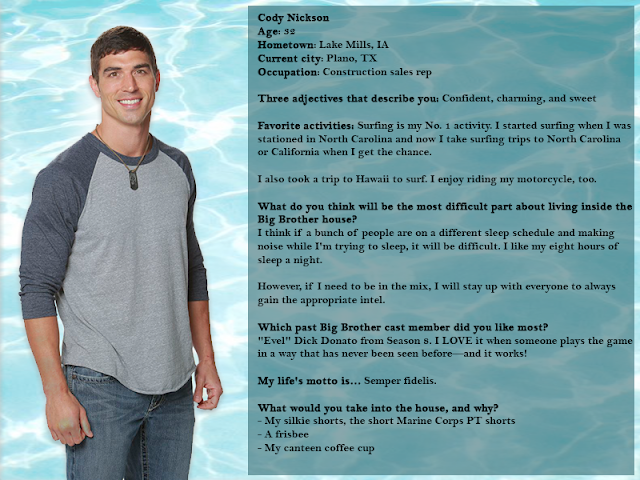 Cody has, ironically, turned out to be one of BB19's most likable players. After a two year hiatus, I have returned to give you my take on this year's iteration of Big Brother. Read on to find out why season 19 is its worst season yet.